Simon established Steels Creek Estate in 1981. The 20 acre property is situated in the picturesque Steels Creek Valley (located about 10km north of Yarra Glen) with sweeping views towards Kinglake National Park and Mount Slide. It is home to 5 acres of 35-year-old vines set amongst this beautiful landscape. 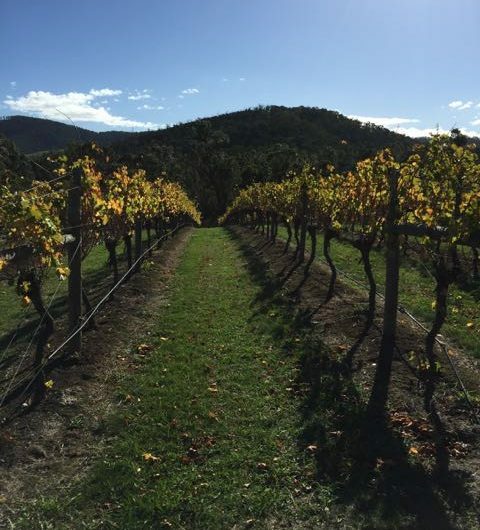 Premium cool climate wines are produced from estate grown fruit at Yarra Valley’s smallest 5 star Winery. The low cropped fruit is handpicked and processed in small batches adopting wild yeast ferments with minimal intervention. Yering Farm is steeped in history, for its location and for the vines this site was originally known for. It is located on the original site of the Yeringa Vineyard once owned by the Deschamps family back in the 1800’s. As fifth generation Orchardists, the Johns family resurrected the property in 1980. The old hay shed was transformed into the charming rustic Cellar Door that you can visit today, complete with the original “Yeringa Vineyard” sign adorning the entrance. The whole property exudes charm, with commanding views of the Yarra Valley: perfect to linger with a bottle of wine and the Yering Farm “Pruner’s Platter” by the fire or out on the large verandah. The replanting of grapevines began in 1989 and to this day, all Yering Farm wines are still produced on site from estate grown fruit with the sole focus being to produce high quality, low yielding, hand picked grapes. 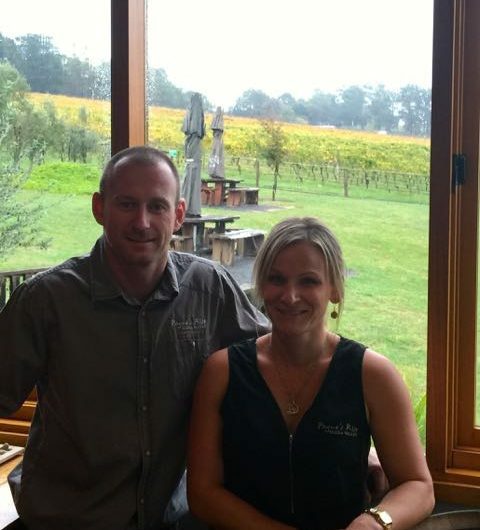 Payne’s Rise is a family owned, boutique winery located in the beautiful township of Seville in the Yarra Valley. 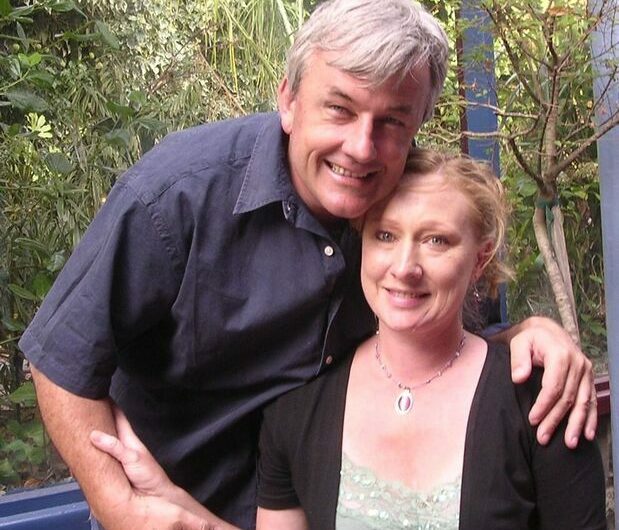 Specialising in small batch wines produced from carefully selected fruit from their vineyard Tim and Narelle with their two lovely kids, Brody and Jed bring passion and commitment to the historical surrounds of Seville. The incredibly inviting cellar door is incorporated into the 1860′s homestead and property of Seville’s first settler, Thomas Payne. Mr Payne was granted the allotment in Seville on the 18th February 1867. Before settling in Seville, Mr Payne worked in the goldfields and building trades, mastering the skills of lath plastering and the like. These skills were applied to the construction of his lath and plaster home overlooking the valleys of Seville and Wandin. Wally and Judy Zuk, Owners and Winemakers of Five Oaks Vineyard are quintessential over-achievers! Wally, a born and bred Canadian from Quebec, graduated with a PhD in Nuclear Physics from Queens University in Kingston in eastern Ontario and Judy, an Australian who had the guts to go travelling in her early 20s and found her niche in Canada, achieved her Law degree from Carleton University in Ottawa, which is where she met Wally. Since releasing their first wine, a 1995 Cabernet Merlot, Judy and Wally’s wines have earned over 90 awards at National and International wine competitions and they export wines to Canada, Macau, Hong Kong and Greater China. Which for a rocket scientist and “Gentleman Winemaker” ain’t too bad at all! Judy and Wally will celebrate their 50th wedding anniversary later this year! A true achievement in today’s fast paced society! As mentioned, Wally and Judy arrived in Canberra in 1968 where Wally was a visiting Research Fellow in Nuclear Physics at the Australian National University. It was there that Wally was introduced to Australian wines, which started an interest that subsequently became his passion. 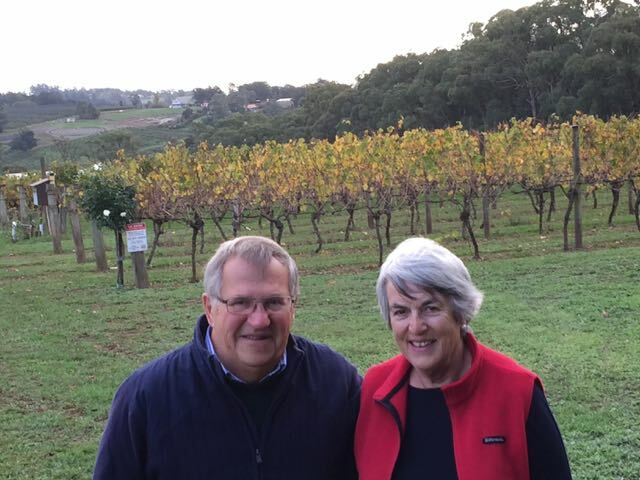 Judy and Wally returned to Canada for twenty years but interest in Australian wines continued to grow, fuelled by numerous trips back to Australia while visiting Judy’s family.